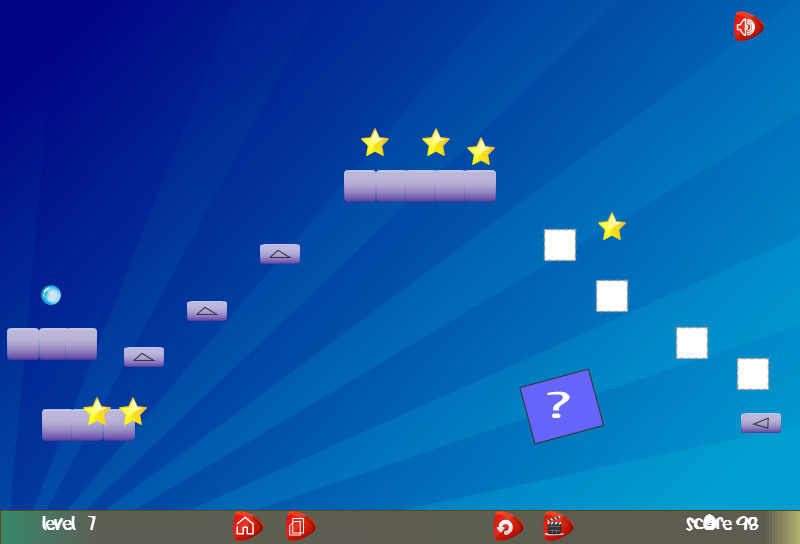 Move bouncing ball left and right and collect all the stars to win the level. Use left and right key to move the ball to the left and right. A key to dodge the ball to the left. D key to dodge the ball to the right. 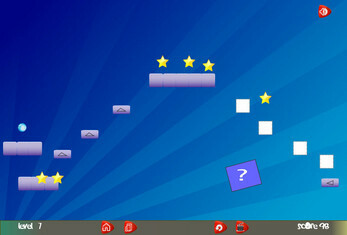 Platform with left and right arrow key will change the gravity of the ball to the left and right.Gravity restore when left and right key is pressed or if it hit by any objects. If you jump over s letter block then game will start from the same position if ball died.